1 pair of black lacquered geta with velvet and brocade straps ; each 8.75 x 3.375 x 1.5 in. 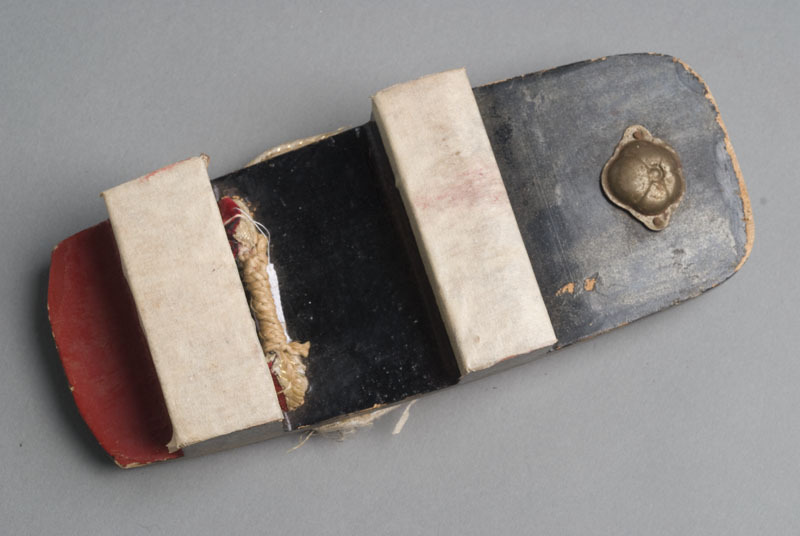 Black lacquered Japanese style wooden slippers composed of a baseboard (dai) resting on two supporting pieces (ha or teeth) below and straps that are a combination of red and black velvet and gold and white brocade are secured at the front underside with a metal fastener and at sides of foot. Fine red line marks the edges and the underside is painted black with red paint under the heel. Masking tape covers bottom of teeth. The geta are identical in shape: right (A) and left (B) side. 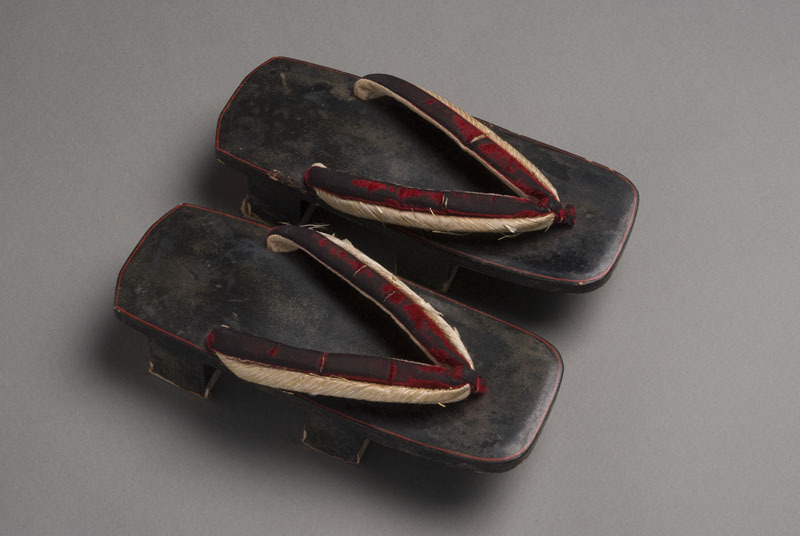 These geta were used for Obon or for wearing with dressy kimono.